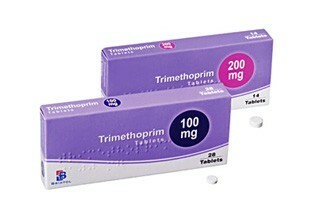 Trimethoprim is an antibiotic and belongs to the group of anti-infectives. It works by killing a wide range of bacteria and therefore it used for treating and preventing urinary tract infections. Used for treating: cystitis (bladder infections) and urethritis (urethra infections). Tablets: swallow tablets whole with at least half a glass of water. Course: usually takes 3 – 14 days.